In Benjamin Cheever’s first novel, "The Plagiarist", a marketing executive adds the word, "repeat", to a clients shampoo packaging, increases sales and becomes an industry legend overnight. Is a new industry legend about to be born at Unilever? The concept behind Lynx Mix is fiendishly clever. Use two separate deodorants to create a third unique fragrance or as they put it … Combinable Fragrances. Its obviously not as simple as adding "repeat" to the packaging. However, using two deodorants "simultaneously", has the same effect … increased usage. 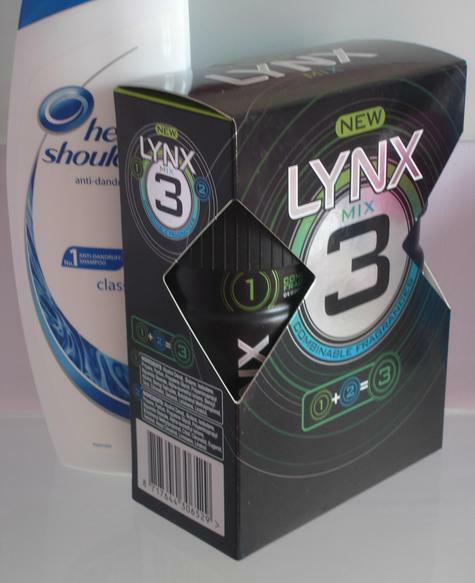 The new legend, will however only be born, if they can persuade male consumers, that they need to purchase 300 ml (the total size of the Lynx Mix multi-pack), instead of a single 150 ml deodorant, in order to enjoy … the Lynx effect.